Every once in a while, we at Top Echelon like to spotlight Network agencies. After all, we have a “Recruiter of the Week” feature, but not an “Agency of the Week” feature. So where is the fairness in that? It just so happens that we have an agency to spotlight this week. 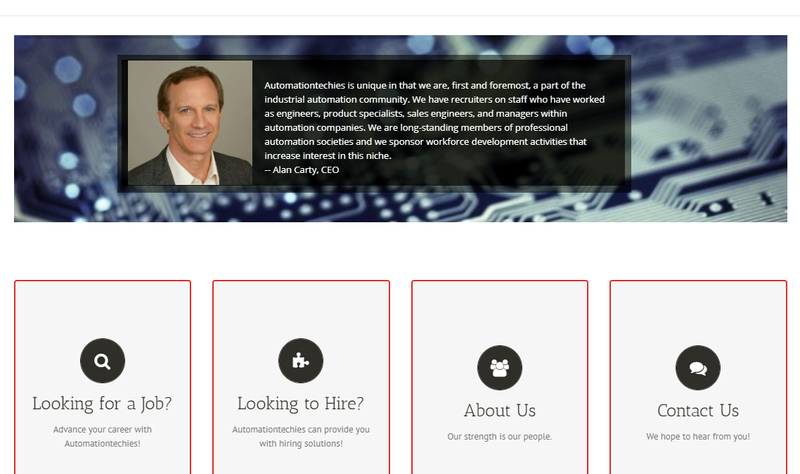 The agency in question, Automationtechies.com, was recently included in our anniversary feature for July. Automationtechies.com is celebrating its 15th anniversary this month. However, the agency also hit another milestone: 100 Network placements. Automationtechies.com now has 101 TE placements. Not only that, but Automationtechies.com has also earned a ton of money by offering contract staffing to its clients and using the recruitment back office services of Top Echelon Contracting. The agency is most definitely a full-service recruiting and staffing firm. So congratulations to Automationtechies.com and everybody who made placements in the Network this week! If you’d like to know how YOU can enjoy more Network success, please contact Director of Network Operations Drea Codispoti, CPC/CERS. You can do so by calling 330.455.1433, x156 or by sending an email to drea@topechelon.com. Candidate recruiter: Mike Pettit of Channel Personnel Services, Inc. Candidate recruiter: Al Daum of Alan N. Daum & Associates, Inc.
Job recruiter: Steve Moore of J.D. Cotter Search, Inc.